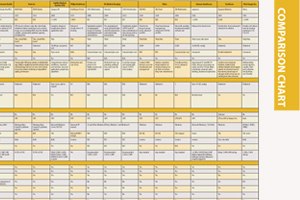 This article appeared as an introduction to a Comparison Chart on Remote Viewing Systems in the May 2014 issue. Imaging is critical to all medical specialties so it is logical that images should be available to specialists outside of radiology. There is a trend to reduce repeat exams by making images more easily accessible, including prior exams. This traditionally has been accomplished using the cumbersome process of mailing or physically carrying CDs to referring physicians. Often these CDs do not open or take a long time to download. Stage 2 Meaningful Use requirements for certified electronic medical records (EMR) also call for the sharing of medical images electronically to help improve efficiency and reduce healthcare costs. All of these factors have given rise to remote image access systems. Today, most picture archiving and communication systems (PACS) vendors offer a remote image access solution. Third-party vendors also offer image sharing software that can either work with or separately from the PACS. Some are as simple as using encrypted e-mail to send images to specific recipients or offer portals to enable remote access to a PACS, while others allow links to images to be attached to a patient’s EMR, either as JPEG images or embedded links back to the original images in the PACS. While the methods of connecting images to users outside of radiology may vary, these systems can be classed into two types — remote viewing and remote sharing. Facilities looking to purchase a system need to decide which of these types will best suit their needs. Viewing systems only allow an image to be viewed, not manipulated or annotated. These systems also might not allow an image to be downloaded into another PACS, such as a transfer of images from one hospital to another, or into a specialty PACS for cardiology or orthopedics. In the case of computed tomography (CT) or magnetic resonance imaging (MRI), viewing systems may only send a single image of the area of interest that is best suited for diagnosis, rather than sending a complete image dataset. This might be accomplished by sending non-DICOM images, such as JPEGs, if sending to a recipient without access to a PACS viewer. If only single images are needed, or a referring physician just wants a quick look at an image to answer a question or show a patient, a viewing system may be adequate. However, if other departments or referring physicians need to download a complete dataset to create their own diagnostic views, or enable procedural planning or 3-D reconstructions, then a sharing system may be a better option. Remote sharing systems allow images or datasets to be transferred outside of radiology in their entirety in a native DICOM format. This enables them to be opened, manipulated and saved in the receiving physician’s PACS. Both of these types of solutions usually work in tandem with a radiology PACS, where radiology maintains the position as image gatekeeper to the studies residing on its system. Some systems use application program interfaces (API) to integrate PACS or views into an EMR. APIs greatly simplify workflow by not requiring the user to switch to different applications to view a patient’s data or images that reside on separate software systems. Some vendors have created Web-based portals to enable remote images. An example of this type of system is Philips’ IntelliSpace Portal, which can be used to access a PACS or to image enable EMRs. The system works by embedding a link to images in a patient EMR. This link opens a zero-footprint viewer to view images. The system offers access to a complete patient timeline that includes all imaging studies connected to the patient in the PACS. IntelliSpace uses an IP and goes through a hospital security wall, only delivering what is needed to view the queried image. It does not allow access to the patient’s entire data record; single images can be called up quickly. This is especially helpful when accessing images using mobile devices. The Philips system converts JPEG images into DICOM format images so they can be stored on the PACS and integrated with a patient order. Another requirement in Stage 2 Meaningful Use is two-way patient engagement. One way to engage patients is by providing them access to their EMR and medical imaging. Carestream was among the first vendors to offer a patient portal for image access, where patients can just log into the system using passwords. Carestream’s MyVue is a secure portal that allows patients to play an integral role in their medical care. MyVue helps reduce duplicate radiographic exams and the time, staff and budget spent on producing CDs, DVDs or film. The portal can be accessed on mobile devices using either iPhone or Android operating systems.